Cook until tender, 4 to 6 minutes. This recipe from Real Simple Magazine was a hit with the family this Christmas dinner. How could I miss? 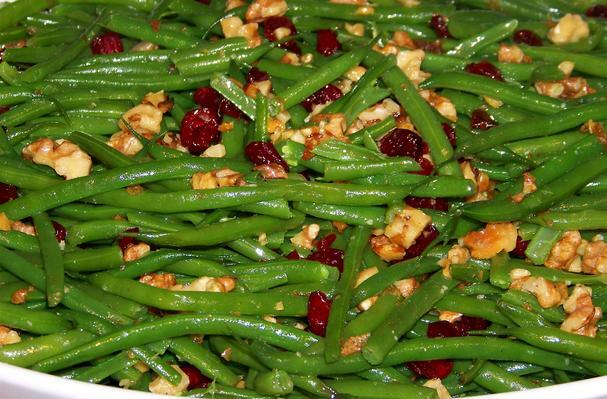 I bought tender young green beans from Costco, toasted the walnuts, and added sweet dried cranberries. Who wouldn't like that?